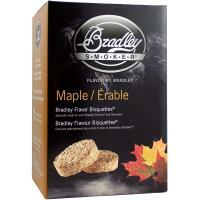 Bradley Smoker Flavored Smoking Bisquettes are perfect for adding a little extra flavor to your smoked dishes. 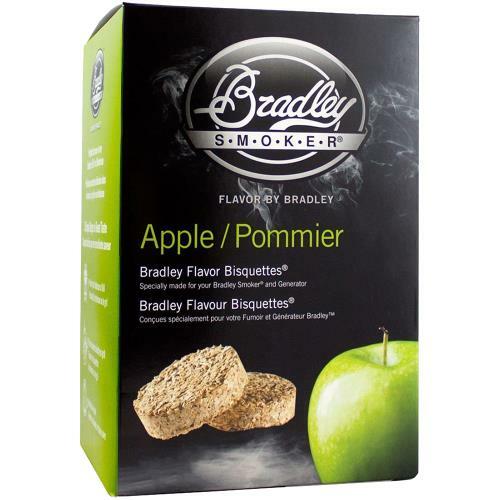 Designed for the Bradley Smoker line of food smokers, these bisquettes are specially made to burn for 20 minutes at a time and can be stacked in your Bradley Smoker food smoker for up to a 9-hour burn. Each flavor adds subtle nuance to your dish, and can be used for anything that can go in your smoker, the list of possibilities is as long as your cooking adventure is ambitious. Alder: Most commonly used for smoked salmon because of its milder flavor. 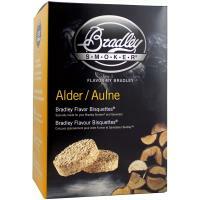 However, thanks to its light, sweet, and musky flavor, Alder Bisquettes add a smooth smoke flavor perfect for almost any dish. 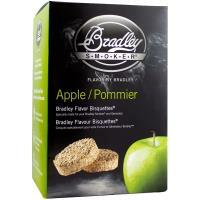 Apple: Produces a light, fruity, and slightly sweet smoke aroma traditionally used when smoking pork and poultry. Some of the best smoked ribs are also made with Apple Bisquettes! 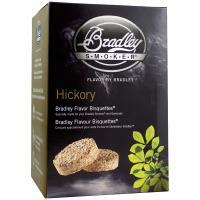 Hickory: The strong and sweet flavor of Hickory Bisquettes make it one of the more popular woods for smoking, and what many consider to be, the best for smoking pork. Maple: With a mildly smoky, sweet and subtle flavor, Maple Bisquettes are perfect for smoking turkeys, and enhancing the taste of poultry and game birds. 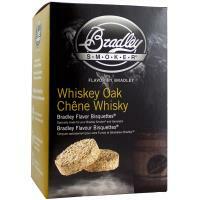 Whiskey Oak: After being hand selected from solid oak whiskey barrels, Whiskey Oak Bisquettes are perfect for providing that full, rich smoke flavor to a wide variety of meats.